After the two successful rounds of the Amaron Karting Challenge, Amara Raja Batteries, the sponsors of this challenge are back with the new and much more thrilling round of the challenge. Don’t get me wrong, we are here talking about the third season of the India’s biggest karting challenge which is Amaron Karting Challenge Season 3. The official announcement was made by Mr Mackinlay Barreto, Head of Motorsports in the presence of the brand ambassadors of this racing challenge Karun Chandok, Aditya Patel, Armaan Ebrahim, and also Coach Akbar Ebrahim and the MD of Ameron Batteries Mr. Jayadev Galla. 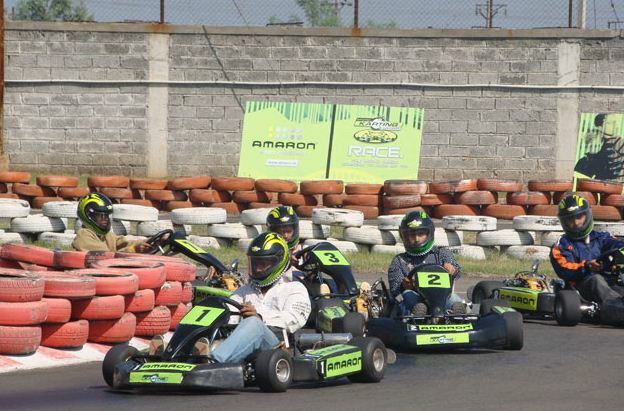 Amaron Karting Challenge will be held mainly in 9 cities namely Coimbatore, Chennai, Bengaluru, Kolhapur, Mumbai, Goa, Delhi and Chandigarh. Six final participants from all above mentioned cities will be chosen to compete against each other in the grand finale. There will be a total of 54 teams in the finale which is scheduled in Hyedrabad on the 7th February, 2011. AKC season three is supposed to target 300 schools all across India. They are planning to invite a total of 1.5 lakh students under the age group of 12-16 years. But bringing the kids on the racing track won’t be that easy a task. For this reason first these kids will be trained under experts, supported by the sustained online contact programme. The winner of AKC will be awarded Rs 10 lakhs as a scholarship while the first three finishers will be awarded with the self autographed helmets of the F1 driver Karun Chandok, G2P and F2 champ Armaan Ebrahim and VW Scirocco Cup driver Aditya Patel. The winner along with the scholarship also will be nurtured by Amaron Pro Racing Academy to take part in the Rotax Max National Karting Championship. The scholarship will also ensure the participation of the winner in the International racing Championship.